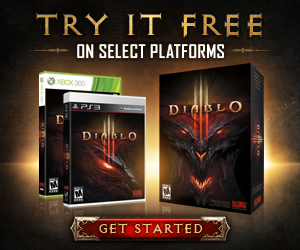 Diablo III patch 1.0.2 is now live in the Americas! Check out the full patch notes below to learn all the latest changes. Important: You will not be prompted to download patch 1.0.2 until the patch is live in your home region. If you are logging in from a European or Asian client, you will need to wait for this patch to release in those regions before it can be installed. Additionally, if your home region is the Americas, you will be unable to log into Europe or Asia using Global Play until those regions have been patched to 1.0.2. Hotfixes made in addition to changes in patch 1.0.2 can be found here. If you are experiencing technical issues with the patching process, connecting to Battle.net after installing the patch, or errors while playing a newly-patched game, please visit our support site for assistance.